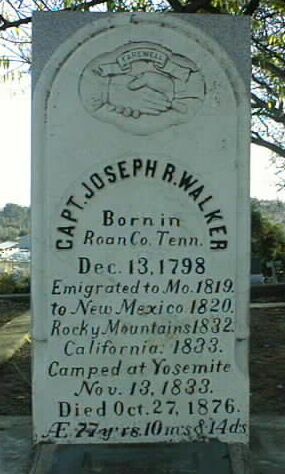 Grave of Captain Joseph Walker, founder of the Walker community. His burial site is in Martinez, California. 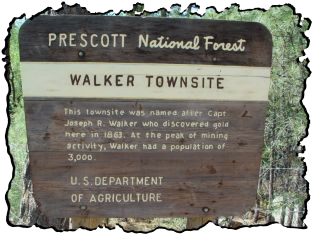 Silver Spur Publishing announces the release of the Joseph R. Walker; Frontier Adventure Series.Read about one of America’s greatest frontiersman, Joseph R. Walker, starting with Opening of the Santa Fe Trail. Follow Capt. 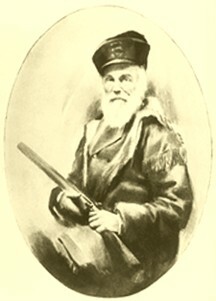 Walker as he guides the army in, Expedition against Mohave Indians. Next you will find Capt. Joe Walker talking with the editor of the Visalia Delta, telling him about his route of 1834, in New Trail to Coso & Mono Mines. 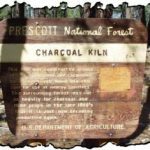 In 1861, the Adventure Series has you riding the trail, In Search of Arizona Gold. This adventure was one of the most fascinating as well as fruitful adventures for Capt. Joseph R. Walker. 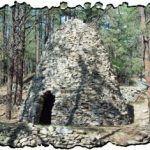 For a quaint look at Walker, visit the following website, submitted by Firefighter Larry M.